Take full advantage of your college experience by getting involved in the College of Education’s student groups. You will make friends, have fun, establish connections, and develop leadership skills. BESO is a College of Education student organization designed for future teachers who are interested in issues surrounding bilingual education. Members share ideas, practices and information about bilingual education, develop support groups, learn about the newest research, and network with others who have similar career goals. BESO meetings often feature guest speakers such as teachers, principals, or administrators who are professionally affiliated with, or knowledgeable about, bilingual education. BESO is committed to community service, and members enjoy social events and fundraising activities to help provide funds for the schools as well as other BESO activities. BESO members often attend and volunteer at the annual Texas Association for Bilingual Education (TABE) Conference, where they find professional development, important information related to bilingual education, and just plain fun! Education Council is the “Student Voice for the College of Education” and represents all majors and organizations within the college in the Senate of College Councils. The Council serves as the official channel for student participation in policy-making and the development of student activities within the college. To encourage communication and assure that students' concerns are being heard, the Council holds bi-weekly meetings where anyone from the college or other educational fields can bring their concerns or aspirations. Also provided are volunteer opportunities within the university, as well as in the community. We invite you to join us at an upcoming meeting. We are always looking for new, enthusiastic members to help put the College of Education on the map! Kappa Delta Pi is an international honor society in education that is open to undergraduate and graduate students with at least a 3.25 GPA and a strong professional interest in teaching. Membership is by invitation. Kinesiology Club is a service, social, and academic organization that is open to any and all UT students looking to become more involved on campus. KIN club features a very active social agenda with members attending UT sporting events as a group, participating in all intramural sports, and hosting faculty-student luncheons throughout the school year. In addition to educational meetings, the club also promotes professional development in a variety of volunteer opportunities and community projects. The Kinesiology Club is one of the largest student organizations in the College of Education that offers members great opportunities. 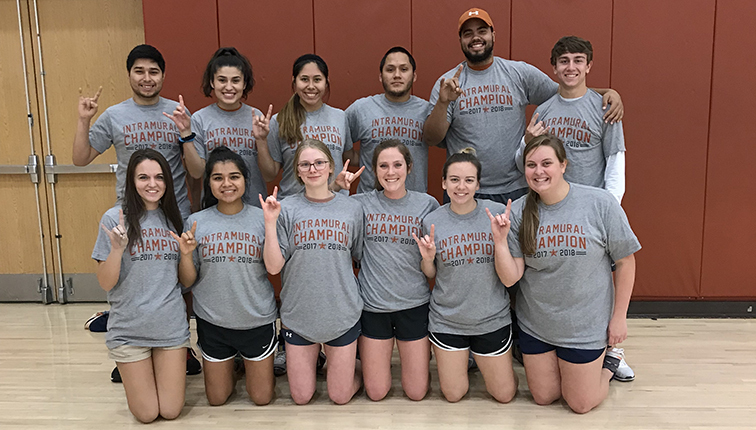 The Longhorn Athletic Training Student Association is an organization open to all Athletic Training and pre-Athletic Training majors. The purpose of this organization is to further the profession of Athletic Training through education, professionalism, leadership, and student involvement. Our events include intramural sports, holiday parties, bi-weekly meetings, and an annual paintball tournament involving UT's Athletic Training staff and other area Athletic Trainers. Community involvement is also a cornerstone of our organization, making L.A.T.S.A. a fun and beneficial way to get more involved in the profession of Athletic Training. Minorities in Education (MIE) is a sponsored student organization open to any student interested in multicultural issues related to the teaching profession. This organization strives to recruit minority students to UT and encourage them to pursue majors and careers in education. During our general meetings teachers, administrators, faculty, alumni and community representatives are invited to speak on current issues in education that relate to diversity in our schools. Other events sponsored by MIE include the Tailgate Kick-off at the start of each fall semester, College Day Visits for local middle and high school students, outstanding member scholarship award, Education Idol, and a variety of fundraising activities. Membership applications are available in SZB 216. The Student Council for Exceptional Children, an affiliate of the National Council for Exceptional Children, is open to any student who is interested in special education issues. In addition to hosting guest speakers, SCEC sponsors events that can help students become more familiar with special needs children in the education system. SCEC teams up with organizations such as Special Olympics, Downs Syndrome Association of Central Texas, Walk Now for Autism, and McBeth Recreation Center for fundraising and social events. Meetings are held every other week. Teachers of Tomorrow is an organization open to students interested in joining a community of shared professional goals in educating elementary-aged students. Relationships are developed through discussions, mentoring and volunteer work. We provide future teachers opportunities for out-of-class learning with guest speakers, informational panels and social events throughout the year. Members are encouraged to further their professional development through building relations with faculty in the College of Education and among practicing teachers in the Austin area. 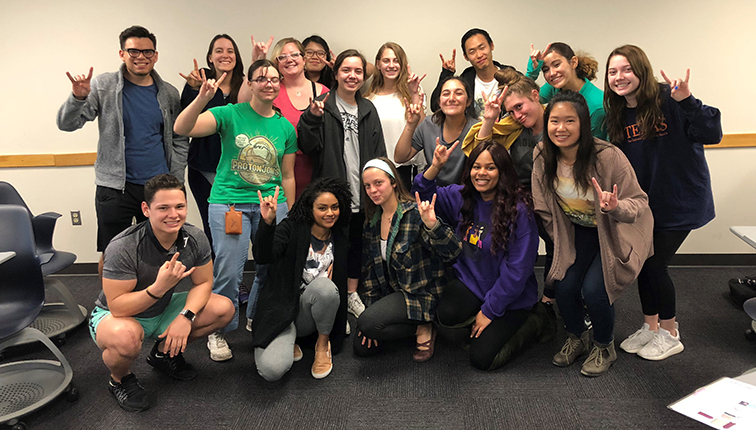 The Texas Health Promotion Club is a student organization open to all students at the University of Texas at Austin and serves as a platform to unite like-minded individuals under a common goal of health promotion. The mission of the Texas Health Promotion Club is to promote the health and wellness of UT students and the surrounding community through scholarship, community service, and spreading health awareness. We focus on including diverse members of UT students, learning about and addressing issues related to social justice and social determinants of health, and improving health equity among UT students and the surrounding community. Membership in the club includes participation in weekly meetings, a semester-long health promotion project, professional development opportunities, and club events throughout the academic year. In our meetings, we focus on the activities of the club, have opportunities to participate in volunteer events at UT and throughout the Austin community, and have guest speakers who focus on current diverse health topics and career development. We also partner with other diverse clubs and organizations on campus on health-related events throughout the year. Check us out on Facebook!